An Intro precedes this chapter. In case you missed it, please click here. After reading the intro, just exit from it and you will find yourself right back here, ready to enjoy this chapter to the fullest. Thanks! The breeze was soft and warm as it blew gently across my face. I couldn’t remember the air ever feeling this balmy before. Back in 1979, Richmond, VA did not have the semi-tropical climate it is gradually developing. “So this is what it feels like to be caressed,” I thought to myself while slumped on a swing in the playground of what used to be my elementary school…just waiting for our ‘little outing’ to be over. The counselors of the 7th floor were conspiring to elevate the moods of those of us committed to their psych ward. They thought the walk and the fresh air might magically overcome the various causes of our dysfunctionalities. I knew what they were up to, and I wasn’t interested. Every counselor who had visited the confines of my sterile room for 28 days running had attempted to convince me that my feelings were unwarranted…nothing could be so bad as to want to kill oneself, they naively rationalized. I disagreed. We had opposing interests. Their goal was to return me (or an improved, more dispassionate version of me) to their “not so bad” world. I guessed I was an alien, for it was clear to me that my world deserved no such leniency. It had offered me only relentless piling up of traumatic experiences and the unbearable losses of love, trust, health, hope, and security. I wished never again to be released into the wild. Aside from having attempted suicide, my diagnosis included Post Traumatic Stress Disorder (PTSD) and Multiple Personality Disorder, now euphemistically called Dissociative Identity Disorder (DID). As a creative problem solver, I had simply created different personas to keep any one of them from suffocating under the weight of my collective despair. The problem was, the leader of the pack was AWOL. My mental state had become like the mess that unruly students make of their classroom when their teacher leaves them unattended. When I had entered the hospital it was still cool and the trees were only budding. I had not been outside for a month and it was surreal to me how everything had changed. Entranced by the exceptionally balmy breeze, I began slowly rocking back and forth on the playground swing. It was all the same to the swing whether I rocked or sat idly; the swing was not attempting to cheer me up for its own sake, and it did not seem to mind that I had not yet fully exploited its usefulness in teasing gravity. On some level, I appreciated the unconditional support, if only from a swing. I had not realized how tense I was from fending off the daily array of prodders trying to cheer me up. 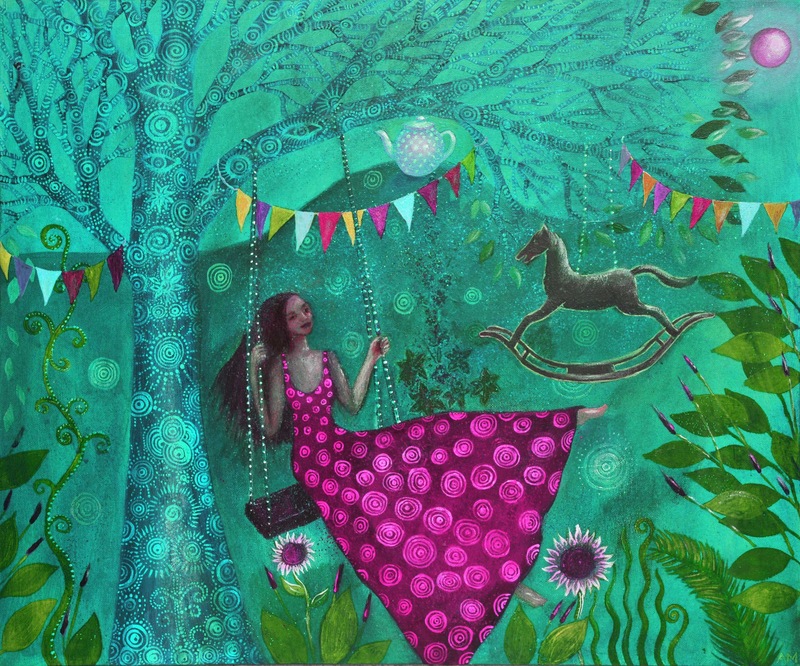 The swing’s capacity to ‘go with the flow’ helped me relax and revive a long-lost pleasure response. Embracing the sensation of the warm soft breeze, I felt a bit of happiness bubbling up in me. Enlivened, I began pumping full throttle. My stomach lagged behind each time I plunged from the summit of the pendulum’s arc. 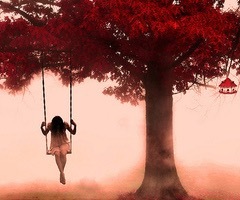 I could not tell where I stopped and the swing began; time stood still. When the counselors announced we needed to return, I was startled and felt self-conscious that someone might have witnessed the intimacy of my ecstasy. Temporal necessity overcame eternal bliss and my exhilaration slowly settled down as I quietly followed the group for the two blocks back to the hospital. Growing wildly on a fence that lined the street and bordered two adjacent backyards, there were a million or so tiny pink roses. I checked with myself…no, I had not seen them there when we were on our way to the schoolyard. Surely if I had, I would have been touched by their random beauty. Logically convinced, I knew that if the roses were there at that moment, they must have been there all along. How could I have missed them? It hit me like a ton of bricks. Like the unconditional support of the swing, the roses were unconditionally generous, continually offering an awesome delight to any and all passersby, whether or not they cared to notice. Certainly, the little roses along the fence-line did not withdraw their sweet fragrance, or their delicate pinkness, to punish me for ignoring them when I first walked down the road. The unconditional love I had wanted so badly from the people in my life was found that day in an effusion of wild roses. In the amazing grace of that single experience, my attitude spun around 180 degrees. I understood that the wondrous expression of nature’s gifts is unconditional, and that my pleasurable impression of life requires only my receptivity. I will not tell you that my life was suddenly perfect; there was a long climb out of a deep well. What did change suddenly and permanently was that I no longer wanted to give up and free-fall into the welcoming blackness of that well. 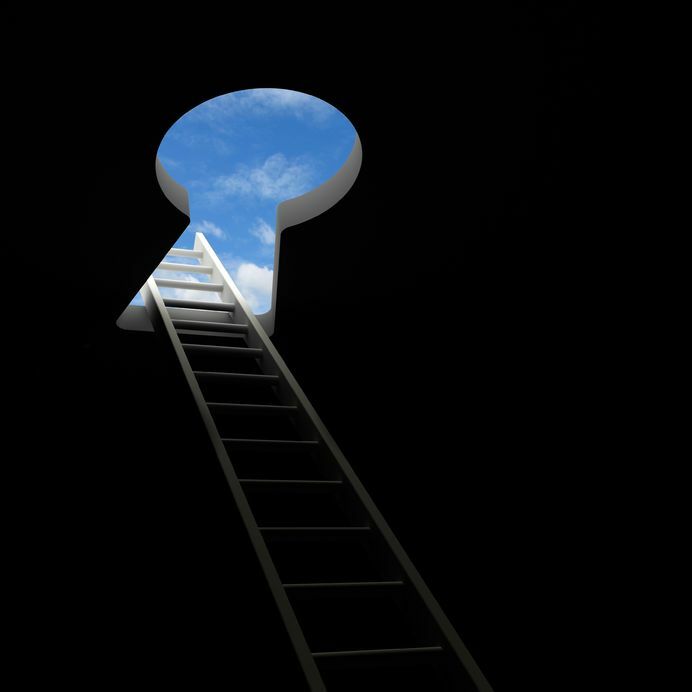 There have been times when I have rested complacently on a ladder-rung and times, too, when I have taken some steps backwards. Even so, my commitment to the ascent has not wavered. 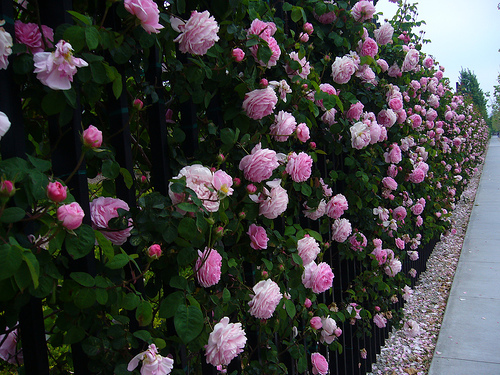 My spiritual healing began by becoming receptive to natural abundance the day I saw those million tiny pink roses along the fence-line. Overcoming tragic desperation is my gift to pay forward. If by speaking out and demonstrating that healing is possible hope is given, I am grateful for the opportunity. May you find all your fences covered with roses, and may we all monitor our communications so that our words are for others as a soothing swing, evoking only the highest and clearest perspectives.